6 Brilliant E-Commerce Marketing Automation "Best Practices"
What role will marketing automation play in your e-commerce business? Digital marketing has evolved so much over the past three decades, and it’s becoming more necessary as more and more users gain access to smartphones (with 87% of current internet users having access to them). Building a strategy that works for you, and your customers, is important to gain more customers, retain the ones you have, and to stay on the leading edge all at once. Customer retention is paramount in today’s digital economy, with 50% of consumers suggesting that they would interact with a company again after only one positive experience. At the same time, you also need to be fostering new leads, segmenting those same leads, and personalizing the experience to engage with potential (and existing) customers across every channel (while still gaining valuable insight and feedback). The numbers back it up. Research from leadsquared suggests that, as customers demand more from companies, delivering on those expectations can result in increased loyalty and more engagement across the board. In order to retain customers successfully, your e-commerce business needs a successful retention marketing strategy that relies on multiple factors. Here are six Best Practices for eCommerce Marketing Automation that can benefit (and even revolutionize) your e-commerce business. It’s true what they say: no two customers are exactly the same. Depending on what your selling, a customer can fall on a spectrum (depending on how close they are to converting). 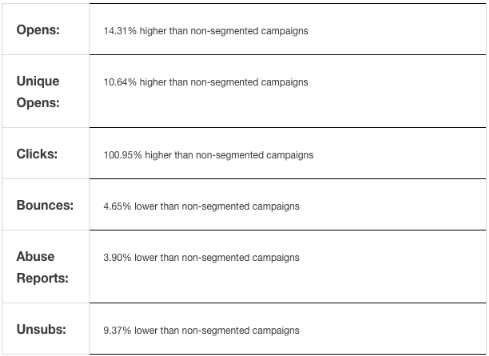 MailChimp’s data on segmentation paints a pretty comprehensive picture of how segmenting your leads can lead to better results. Using marketing automation, you can begin to effectively segment customers in order to have them convert at the right time. By doing so, you can create better campaigns, understand your customers better, and evaluate accordingly. Ultimately, you can use marketing automation to nurture high-quality customers with personalized product recommendations and make your communication with them all the more relevant. A great example of this is McAfee. They used marketing automation to garner new leads, but found that the leads were “piling at the top” – there were a lot of them, but they weren’t high in quality. By automating the process, they created a lead-scoring system to help assess how strong a particular lead was – in order to put it through a process where leads were passed onto the sales team when they were ready to convert. While overall leads fell 35%, their conversion rates increased by 400%. This meant that while they might have been generating less leads, the leads themselves were better able to convert (and simply better, in general). Customers love browsing sites that have stored information about them and display content that’s familiar and relevant to them. Research from Invesp suggests that 53% of online shoppers find customization to be super valuable and influential in their buying decisions. With that in mind, how does automation make your site more personal for your average visitor? It starts with finding where your customer stands in the customer journey. Once you find that out, you can provide them with the information along the way that matches those steps. You can offer them relevant products, additional services, or ask them for some feedback. Platforms like BrightInfo makes the task of automated personalization easier. It can automatically provide each visitor with the most relevant content depending on their needs, their stage in the sales cycle, the channel through which they arrived, etc. 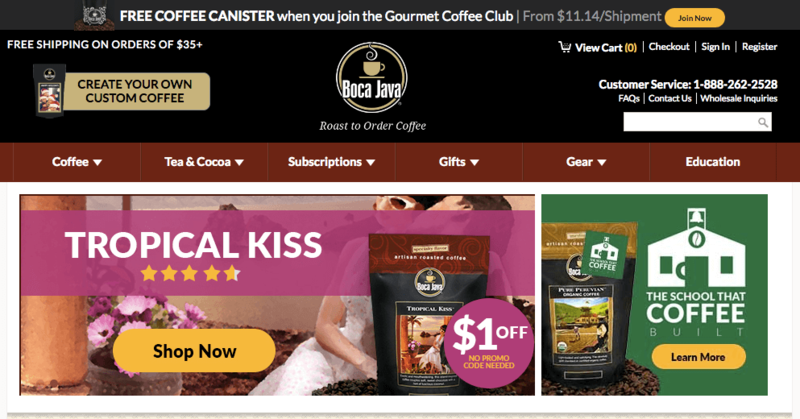 A great example of automated website personalization can be seen with the gourmet coffee provider Boca Java. Segmenting their leads based on the amount of coffee bags customers ordered, they were able to offer specific discounts on product pairings and combinations. Taking this a step further, the company learned that those who were most willing to take advantage of the offer were those in the “two-bag segment” of purchasing behavior. This resulted in a personalized offering, catered specifically to those most likely to convert. Another excellent tactic is to have a customized home page for your customers based on their interests and behavior. 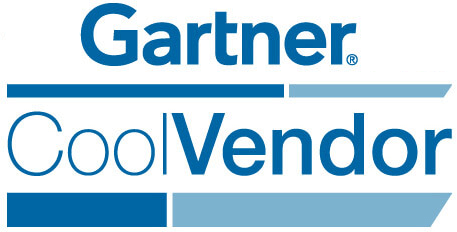 This enhances their experience as it makes relevant content easily accessible for them. They don’t have to go through several steps to find what they need and want. 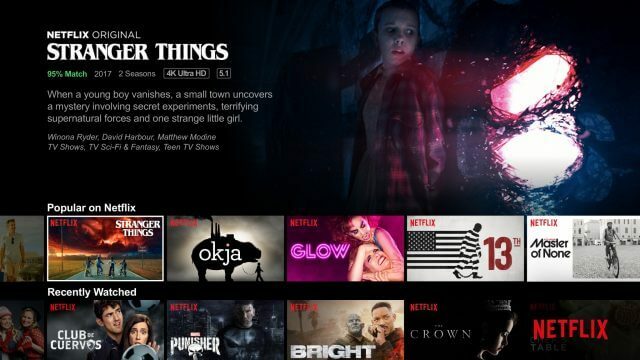 Netflix, for example, has a custom homepage for every user. This makes it easier for them to access movies and shows that they are likely to be interested it. They can also easily keep track of content that they have already watched. Conversations around marketing automation are typically centered around gathering new leads, and convincing them to convert. But we cannot discount the efficacy of automation in nurturing current customers, and building lifelong relationships with them. Automation can help build relationships with consumers. Whether it is assisting them with their order inquiries, customer service issues, or anything else – it can help build a fuller, better, and more comprehensive omnichannel experience. In fact, according to Aspect Software, an effective omnichannel experience can results in 91% greater customer retention (year-over-year) for companies, compared to those who do not. Building long-term relationships with all your clients will drive not only future conversions and purchases, but referrals as well. When you’re planning to build a strong relationship with your clients, it’s not enough that you make them fall in love with your product. You have to excel at every single aspect – from improving your website experience to providing quick and reliable help. You should be able to deliver on your promises and provide valuable after-sales service to continue retaining your customers. 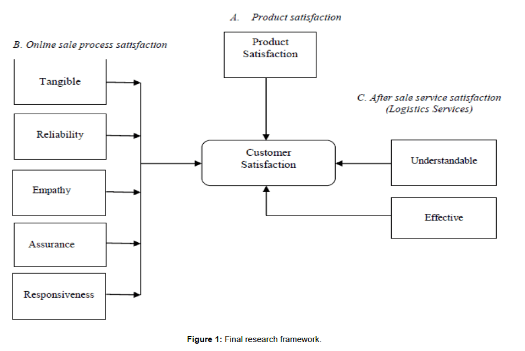 Check out the customer satisfaction framework below to better understand what is needed. While there is no specific tool to help you follow this framework, you can employ a separate automation tool for each of the steps to improve customer satisfaction. 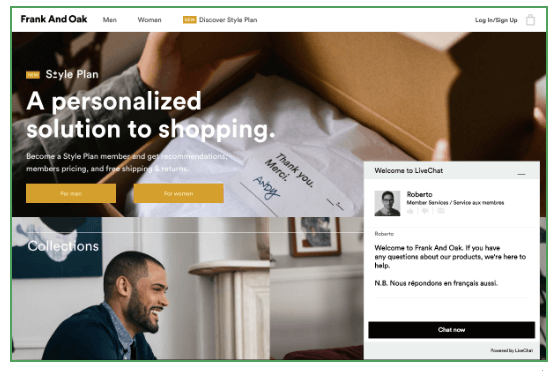 Another great frontier in marketing automation is using chatbots to improve the customer experience. Build a chatbot to answer customer questions, regularly engage with each customer, and send out weekly content updates. This will bring more customers back to your site, and increase their visit duration. Drift, chat software, recently published a report that found that 34% of users use a chatbot in order to get access to a “human” representative. 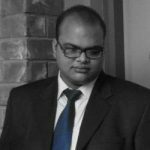 This means that chatbots go beyond simple inquiries, and actually nurture the path to converting a lead. Chatbots solve a common problem and pain point for e-commerce sites: bounce rates. By making it easier to guide someone to the right content, it becomes less likely that users will become frustrated and click away. This data suggests that a chatbot isn’t just a tool on its own, it’s part of a holistic process of a user navigating your site. And a chatbot can help point them in the direction of the information that they need. Clothing company Frank and Oak uses a chatbot when people visit their site. For an e-commerce business that supplies clothing for men and women, this can help customers navigate the site with little to no frustration. An important thing to note about chatbots, though, is that most 40% of customers leave them after their first interaction. This means that, in order to retain customers, your chatbots first interaction needs to guide them in the right direction expertly for them to come back again. One of the greatest benefits of using marketing automation is that it can help you get valuable feedback from your customers. This is one of the most beneficial things you can do to consistently improve your e-commerce business. Use automated campaigns to get feedback from specific customer segments. Tools like Promoter.io can help you automate the process of collecting NPS scores and then sorting your customers into categories such as promoters, passives, and detractors. Intercom is also great for automating the process of collecting conversation ratings and improving your team’s performance. You can formulate campaigns to be distributed to former customers, even offering them something in return for their time. This way, you can make real changes based on your most important asset – your past customers. 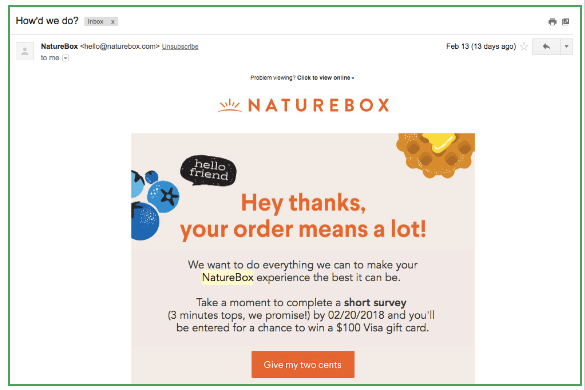 NatureBox does a great job of this by sending a quick follow-up email any time that you have a chat with one of their customer service agents. Consumers can provide their feedback, and enter to win a gift card at the same time. Logitech also does a great job of gathering and implementing feedback across their product offerings. For example, they quickly learned that customers loved the functionality of their webcam, but that the setup process was filled with errors. This resulted in a net increase (of 10 points) in positive feedback (via their Net Promoter score). 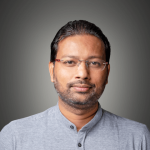 Automation also helps in overcoming the biggest challenges involved in working with influencers – finding the right influencers and measuring campaign performance. Partnership with the right influencers is crucial for customer retention because these influencers help you reach and gain the trust of a relevant audience. In fact, 51% of marketers in a Tomoson study said that influencer marketing helps them acquire better customers. And by measuring the performance of your campaign, you can gain insights into whether the influencers you’re working with are delivering positive results. This can further help you in improving your future campaigns to attract high-quality customers who are likely to remain loyal fans. Tools like Grin, an influencer marketing automation software, can help you with this. You can easily narrow down on the best influencers for your brand using filters such as location, category, and social platform. 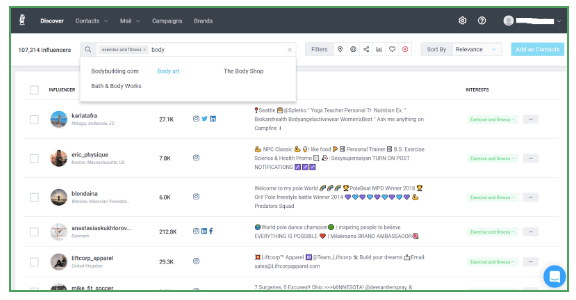 The tool also lets you track how each influencer is performing, so you can further enhance your campaign by working with the top-performing influencers. 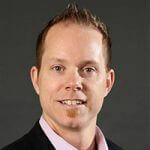 Shane Barker is a digital marketing consultant specializing in influencer marketing, product launches, sales funnels, targeted traffic and website conversions. He has consulted with Fortune 500 companies, influencers with digital products, and a number of A-List celebrities. WebEngage Turns 6. Thank You!